Dye tells stories from inside Mission Control in a way that explains the mysteries of flying the Shuttle—from the powerful fiery ascent to the majesty of on-orbit operations, to the high speed and critical re-entry and landing of a one-hundred-ton glider. Success is the Only Option draws the reader into the missions (and the training for those missions) as if they were there. They will gain an understanding of what it takes to make split-second decisions in a field where mistakes are unthinkable, where errors lead to the loss of national resources—and more importantly their crews. Dye tells stories from inside Mission Control in a way that explains the mysteries of flying the Shuttle—from the powerful fiery ascent to the majesty of on-orbit operations, to the high speed and critical re-entry and landing of a one-hundred-ton glider. The Space Shuttles flew 135 missions; from initial test flights, through the early days of learning how to deploy satellites and do science, and on into the assembly and servicing of the International Space Station. Astronauts conducted space walks, captured satellites, docked with the Mir Space Station—and throughout it all, Mission Control was the hub of activity that made the missions happen. This book allows the readers to see those missions, and those activities, from the center seat—the Flight Director’s console. From the incredible beauty of a docking, to the day-to-day realities of keeping a flight control team running smoothly and happily, Dye fills in the details of those missions to space that lasted for three decades. Success is the Only Option is more than just a memoir—it brings previously untold stories of the space program into the open, helping the reader to understand what the men and women of Mission Control experienced and contributed. It brings home the accomplishments of a national (and international) effort to make humankind a spacefaring species. Paul Dye has over forty years of aviation experience as an engineer, builder and pilot. His scope has ranged from restoring old light aircraft to planning and leading manned spaceflights. His love of flying machines dates back to early childhood, and he became involved with full-sized aircraft as a teenager, rebuilding J-3 Cubs with an FBO in Minnesota. 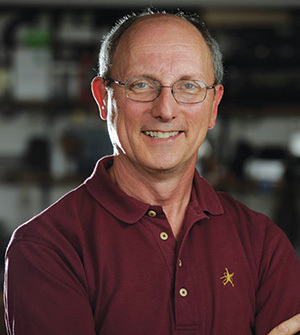 He earned his degree in Aeronautical Engineering with a specialization in aircraft design and flight testing from the University of Minnesota in 1982. He is a Commercial pilot with single and multiengine ratings as well as jet experience. He has flown over 5000 hours in more than 120 different types of aircraft and routinely test new types as a consultant and evaluator. For thirty-three years, he worked in increasingly responsible roles within the US (NASA) Manned Space Program, both as a technical expert in spacecraft systems and, eventually, as the overall lead of many missions to space. He retired from NASA in 2013 as the longest-serving Flight Director in U.S. history. His Flight Director career spanned both the space shuttle and International Space Station programs. The winner of many prestigious awards including the Johnson Space Center Director’s Commendation, the NASA Outstanding Leadership Medal, and four NASA Exceptional Service Medals, Dye delights in bringing the lessons learned from the most advanced flight operations back to the next generation of space operation professionals and to general aviation pilots and builders. He is well-known as a risk-management specialist, and advises designers and builders–as well as pilots–on ways to build and operate aircraft with greater margins of safety. He is a Leadership Consultant and speaker available to corporations and groups who wish to better their organizations and people. Always a prolific writer, he has been a frequent contributor to type-club newsletters and web sites for many years. After retiring from NASA as a Lead Flight Director for Human Spaceflight, he became Editor-in-Chief for Kitplanes Magazine, a publication dedicated to supporting the experimental aircraft industry. He attends most of the large aviation meetings and fly-ins around the United States, test flies aircraft for individuals and for magazine evaluations, and enjoys speaking to aviation and civic organizations on a variety of topics related to aviation.